Last session of 2015 and the music is excellent. Exclusive promo from M.WAXX at the top of the show and new releases from Soul of Hex, Ranacat and more. All the best and enjoy! Also check the sessions on excellent UK based station www.studiosoundsradio.com every Thursday 2pm UK time. 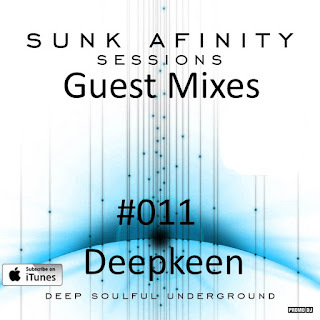 Sunk Afinity Sessions Episode 43Episode 43 crammed full of housey delights for your listening pleasure. New music from DJ Biopic, Nachtbraker, Sebb Junior and Lee Wilson to name a few.Cheers! A massive thankyou to everyone who took part in this years guest sessions also the listeners for supporting the show, I wish you all every success in the new year!